Lots of people prefer on-ear headphones for their blend of comfort and portability. Bluetooth wireless on-ear headphones are even more convenient, since you don’t have to worry about a cable getting snagged on anything. There are lots of decent wireless over-ear headphones and Bluetooth earbuds out there, but it can be hard to find a satisfactory pair of wireless on-ears. 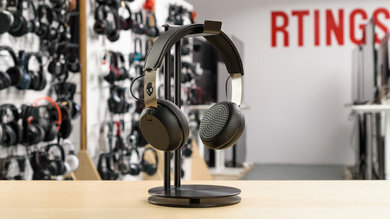 We’ve tested 329 headphones and below are our recommendations for the best on-ear Bluetooth headphones to buy in 2019. 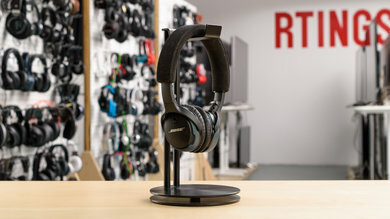 If you’re looking for our top picks for other on-ear or Bluetooth headphones, check out our recommendations for the best on-ear headphones, the best on-ear noise cancelling headphones, and the best Bluetooth headphones. The most comfortable on-ear wireless headphones we’ve tested so far are the Bose SoundLink On-Ear. They’re well-built, lightweight headphones that can fold up tightly for added convenience. The ear cups are covered in plush, supple padding with soft synthetic leather. The headband is also well-padded and doesn’t feel too tight on the head. The Bose SoundLink On-Ear have a balanced sound and are well-suited for a wide range of music genres. They have a good battery that provides 21 hours of continuous playback and a power-saving feature to help them last even longer. They also support multi-device pairing, so you can connect them to 2 devices at a time, which is convenient if you like to switch between a smartphone and a tablet. Unfortunately, unlike the Bose SoundLink Around-Ear II, the SoundLink On-Ear don’t support NFC for an easier pairing procedure and aren’t compatible with the Bose Connect app. They’re much cheaper than the Bose SoundLink Around-Ear, though, and provide better value overall for those who prefer an on-ear fit. 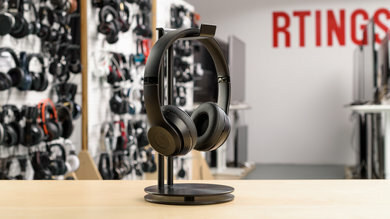 If you’re looking for comfortable yet affordable on-ear headphones, get the Skullcandy Grind; they're one of the best wireless on-ear headphones in the budget category. They’re not as portable as the Bose SoundLink On-Ear since they don’t fold up into a more compact format, but they’re just as comfortable for a fraction of the price. They’re fairly well-built, sound decent, and have a reasonable 15-hour battery life. The Skullcandy Grind have poor noise isolation and don’t isolate at all in the bass range, which means if you wear them in the bus, they’ll let in all the deep rumbles of the engine. Their leakage performance is alright, though, so you can raise your volume a bit to mask out more noise without bothering those around you too much. Overall, the Skullcandy Grind have a good price-to-performance ratio, especially if you value comfort. The best-sounding on-ear Bluetooth headphones we’ve tested so far are the Marshall MID ANC. They’re stylish noise cancelling headphones that sport Marshall’s signature black and gold color scheme. They’re fairly comfortable and are well-built, sturdy headphones. They have a multi-directional control knob on the left ear cup that provides great tactile feedback and they are overall easy-to-use. The Marshall MID ANC have a bright, balanced sound with deep, powerful bass. They’re well-suited for nearly all music genres, from EDM and hip-hop to jazz or classical. They have a 17-hour battery life, which is decent, and can be used while they’re charging. 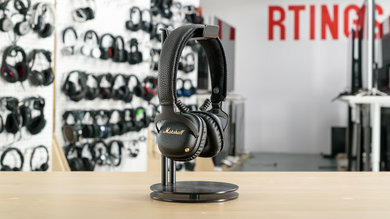 Unfortunately, the Marshall MID ANC have unremarkable noise isolation performance, which is disappointing for headphones with active noise cancelling. If you’re looking for better noise cancelling, consider the AKG N60NC Wireless; however, they don’t sound quite as good as the Marshall MID ANC. Though their noise cancelling performance isn’t the best, the Marshall MID ANC are still a good choice for critical listeners who prefer an on-ear fit. If you prefer the more spacious sound of open-back headphones, get the Grado GW100. They don’t feel as well-made as the Marshall MID ANC, but they’re a fair option for critical listeners looking for more open-sounding on-ear headphones. They have more bass than most Grado headphones and sound decent overall. Their battery lasts for 15.5 hours and they charge in under 2 hours, which is pretty good. Since the Grado GW100 are open-back headphones, they have virtually no isolation. Although this is by design, it does reduce the versatility of these headphones. If you wear them at work or while walking around downtown, you’ll hear all of your surroundings and everyone will be able to hear what you’re listening to as well. That said, if you’re looking for critical listening headphones to use in a quiet room, the Grado GW100 are an alright choice, especially if you prefer on-ears. The best on-ear wireless headphones for battery life that we’ve tested so far are the Beats Solo3 Wireless. They’re well-built, compact headphones that are easy-to-use. They have a tight, stable fit but are still fairly comfortable thanks to their heavily padded cups. They have a great, long-lasting battery and are reasonably well-performing headphones all-around. The Beats Solo3 have an outstanding 42-hour battery life, long enough to last you an entire work-week without charging, and support Apple’s W1 chip for easier pairing with iOS devices. They have good audio reproduction and sound decent overall. They also have an excellent wireless range, so you shouldn’t experience audio cuts if you don’t keep your audio source directly on you. On the downside, the Beats Solo3 don’t have an auto-off timer, so their battery will continue to drain if you forget to turn them off. If you tend to forget to power off your headphones, consider the Bowers & Wilkins P5 Wireless. Their battery life isn’t as remarkable, but they turn off after 10 minutes of inactivity, which is a helpful feature. However, the Beats Solo3 have a more balanced sound and are an overall better choice for most use cases. If you want a great battery but don’t want to break the bank, get the JBL Everest 310. They’re less comfortable than the Beats Solo3 Wireless, but they’re significantly cheaper and have a unique feature that lets you share your music with another pair of Bluetooth headphones. Their battery lasts for nearly 24 hours and they have an auto-off timer to keep them running even longer. They sound decent, have good leakage performance, and can pair to 2 devices simultaneously. The JBL Everest, like nearly all the headphones on this list, don’t have any customization options. If you have an Android device and care about customization, the Samsung Level On Wireless have a great battery too and are compatible with the Samsung Level app on Android for added customizability. They’re more expensive, but if you like to spend some time fine-tuning your headphones to sound the way you want, they could be worth it. 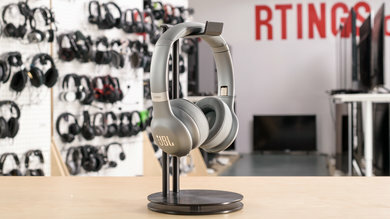 However, if you just want your on-ear headphones to sound alright out-of-the-box, get the JBL Everest 310. 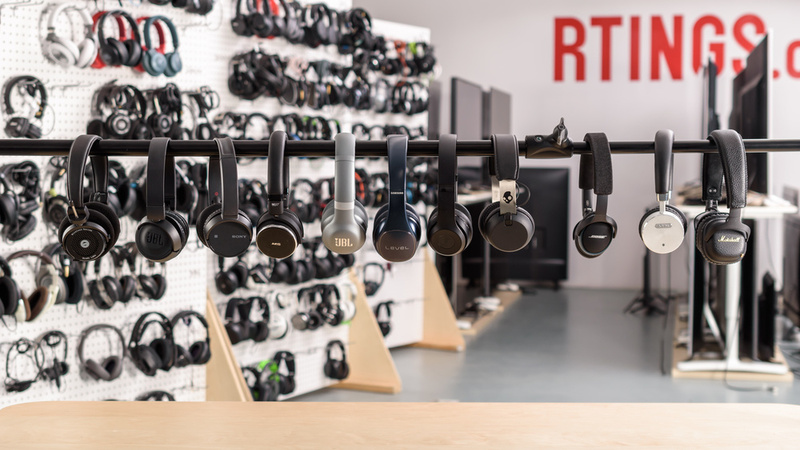 Our recommendations above are what we think are currently the best Bluetooth on-ear headphones to buy for most people in each price range. 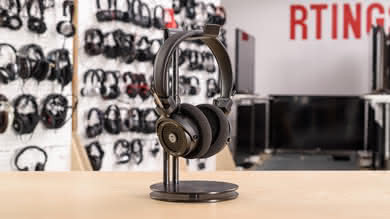 We factor in the price (a cheaper headphone wins over a pricier one if the difference isn't worth it), feedback from our visitors, and availability (no headphones that are difficult to find or almost out of stock everywhere).